Full review of the new Eee PC. Is it too pricey? Is price the main problem with the new Eee PC? After the Apple iPhone finally launched last year, the technology world struggled for something new to talk about. The Asus Eee PC provided just that, and has established itself as one of the hottest products in tech. It was new, it was exciting and above all it was totally unique. But now Asus is facing serious competition from rivals hoping to ride the Eee wave to success. As a result, Asus is going to have to continue to innovate to keep the Eee range fresh and interesting. 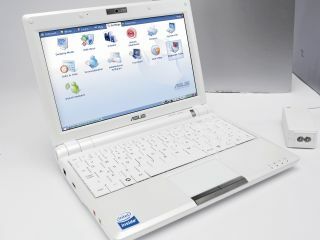 The new Asus Eee PC 900 is the latest in the growing range, and heads up the franchise as a market leader. It’s got everything the original had, and more. But it’s also over £100 more expensive. Is the Eee PC 900 worth the extra money?